Cornerstone is a purpose-built, professional arts, culture and entertainment venue in the heart of Didcot, brought to you by South Oxfordshire District Council. Opened in 2008, we present a high quality programme of live performance, participatory activities, exhibitions and outreach work that meet the needs and enhance the experiences of our local community, and beyond. 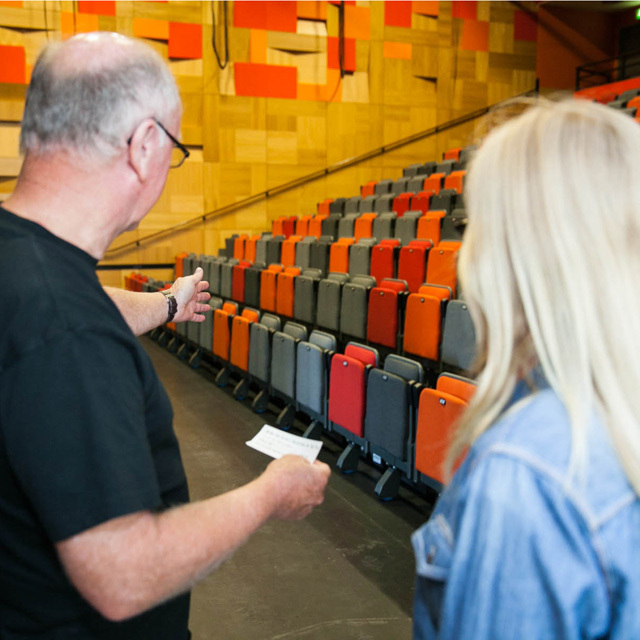 Cornerstone comprises a 220 seat auditorium, café bar, gallery and four studios, perfect for dance and arts activities, as well as meetings. To find out more visit the Cornerstone Timeline below to see some of our highlights. Explore some of the highlights of Cornerstone's history so far. Contact details for all press enquiries. Cornerstone is a multi-purpose arts venue with excellent technical facilities. Would you like to exhibit your artwork in Cornerstone's gallery? Help us continue to bring amazing performances to Cornerstone by supporting our work.